The update is aimed at providing better app discovery to the already popular android emulation platform. 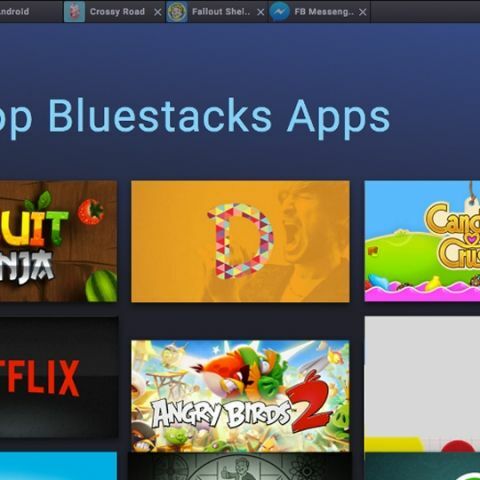 Bluestacks started as an Android emulator for running mobile apps on a PC and has come a long way since then. BlueStacks 2, which was launched today comes as a major update with a greater focus on Android gaming. The element of discovery has been improved with the implementation of region based discovery and surfing through the interface is a lot better compared to the earlier version. However, the biggest change is that now you can have multiple tabs which functions akin to Android’s Overview button which makes switching between apps a lot more convenient. The newer interface looks quite similar to a browser where you have multiple apps on multiple tabs. As for the focus on gameplay, it enables you to configure your gaming controls and the ability to choose between console or keyboard. Another noteworthy feature is the addition of a file manager to ease the transfer of files between your PC and the emulator, a much needed feature that the earlier versions lacked. Also, you can now extend the apps across your PC, TV and mobile with Bluestacks 2. According to the statistics provided by Bluestacks, on an average a user spent 89 minutes gaming on the first day. Also, Bluestacks recently announced that their user base has crossed 100 million users who download billions of apps every month, thus, surpassing Xiaomi as well as Sony. “Where mobile is growing fastest we’re growing fastest. Mobile advertisers are realizing that PC, Mac, phone and TV are all simply different ways to reach the same person.” said BlueStacks SVP of Marketing and Business Development John Gargiulo. The company raised $30 million in a recent round of funding from Andreessen-Horowitz, Intel, Qualcomm and others with Samsung as the most recent investor. Which is better low-budget mobile Micromax Canvas Fire 2 or Moto E ?